Debbie Reynolds' died from a fatal stroke after a blood vessel burst in her brain, according to the official death certificate obtained by TMZ on Monday. The certificate details the "Singin' in the Rain" star's cause as death as an intracerebral hemorrhage (meaning a stroke) and cites hypertension (abnormally high blood pressure) as an underlying cause. 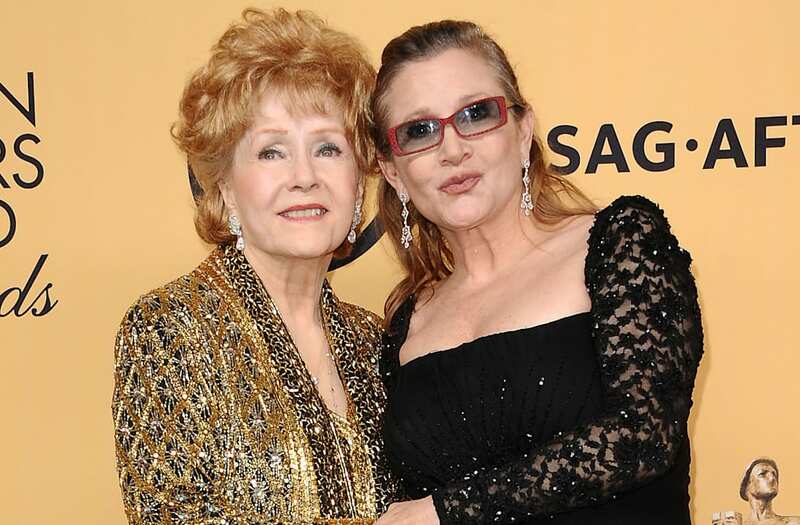 Reynolds, 84, passed away on Dec. 28 at Cedars-Sinai Medical Center in Los Angeles, just one day after her 60-year-old daughter, Carrie Fisher, died from a massive heart attack. The mother-daughter duo recently starred together in the HBO documentary "Bright Lights," which premiered at Cannes back in May. Directed by Fisher Stevens and Alexis Bloom, the doc looked back on the pair's relationship through the years, as well as their equally monumental legacies in Hollywood. Reynolds and Fisher were buried side-by-side at Forrest Lawn in Burbank, California, in a joint funeral last Friday, and were also remembered in a public memorial that is still to be announced. The "Star Wars" actress and her famous mother were also honored during the Golden Globes ceremony on Sunday night. The tribute featured Reynolds' performance of the song "You Made Me Love You" from the musical "Irene" accompanying a montage that included clips from "Singin' in the Rain," "Star Wars," and other classic moments from the two actresses' illustrious careers. The montage ended with Fisher and Reynolds embracing following a duet performance of that song on a 2011 episode of The Oprah Winfrey Show.